In today’s divisive political climate listening to public radio can be unnerving. Although we want to stay informed, we often feel powerless when we hear details of how our democracy is deteriorating with no clear plan of action in sight. But there was one radio show on Saturday mornings that actually helped calm our spirits. It was called First Light/Gardens of Tranquility & Contemplation. Sister Daa’iya described First Light as the musical prelude to Gardens of Tranquility and Contemplation that provided guided visualization accompanied by Jazz compositions that convey peace and transcendence. Sister Daa’iya both co hosted with Tariq Towe and later hosted Gardens of Tranquility & Contemplation solo on WHCR-90.3FM for the last fifteen years. Hosts of the House in Harlem show, which aired before First Light affectionately called her the “woosah” lady. On Saturday mornings from 6am-11am, whether it was sunny or pouring down rain, WHCR’s listeners were quietly awakened by her melodic voice that was full of wisdom and insight. She opened her show with a soothing morning meditation. It was like the spoonful of sugar that helped the medicine go down. We were heartbroken to learn that Sister Daa’iya transitioned on Sunday, November 11, 2018, which was the 11th day of the 11th month of the 11th year (when you add 2+0+1+8 it equals 11). I am sure it was part of her plan to leave us on a day that according to Foreverconscious.com was a powerful day in numerology for healing and alignment. It is befitting that an unforgettable person would leave us on an unforgettable day. 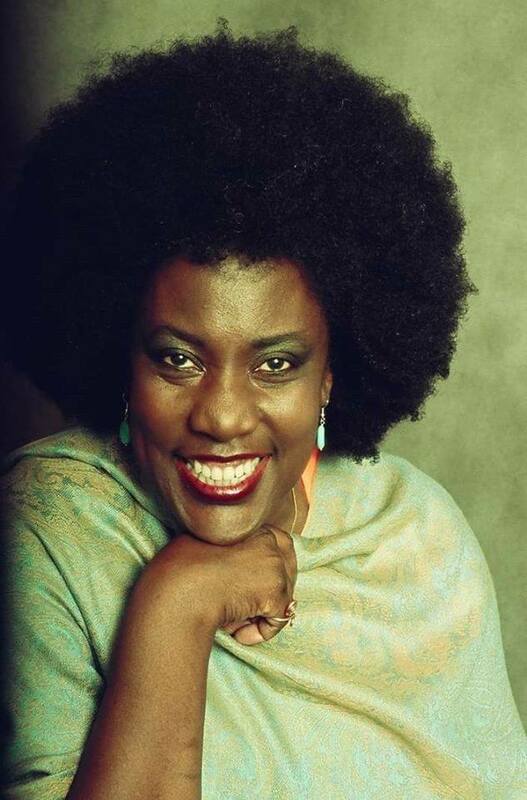 We will remember her trademark larger than life Afro, the smile that put you at ease and the way she would call up historical facts as if she had a spiritual guide whispering in her ear. After she helped us breathe deeply and calm our vagus nerve, she would play musical treasures from Jazz greats like Reggie Workman, Tyrone Birkett, Al Jarreau and Nina Simone as well as Jazz from up and coming artists like Sheryl Renee and Kahlil Kwame Bell. Well respected in the Jazz community for giving a platform to Jazz artists-Rome Neal, Onaje Allan Gumbs, Ty Stevens, Antoinette Montague and a host of other Jazz greats were regular guests on her show. One of the things Sister Daa’iya was most proud of was spearheading a collaboration between the International Communications Association and WHCR-90.3FM in celebration of International Jazz Day. On April 30, 2016 at a ceremony in celebration of the day at the Dwyer Cultural Center, awards were given to WHCR Jazz hosts Lamon Fenner, Nelson Rhadames, Tammy Shoji, Quadir Perez and Sister Daa’iya in honor of WHCR’s 30th anniversary and to acknowledge their role in keeping Jazz music on the airwaves. But Sister Daa’iya’s shows weren’t just about meditation and Jazz, she brought years of journalistic experience with her to WHCR. She was a researcher and co-host on Afrikaleidoscope on WBAI-99.5FM, hosted by the late Elombe Braith. Sister Daa’iya also worked with Imhotep Gary Byrd on WLIB and WBLS as an associate producer on the Global Beat Experience. WHCR hosted an on-air tribute to Sister Daa’iya during her showtime on Saturday, November 17, 2018 from 6am-11am. WHCR’s DJs & talk show hosts, listeners, promoters and Jazz artists filled the airwaves with beautiful memories of Sister Daa’iya. You can listen to the broadcast by clicking the November 17, 2018 radio tribute tab. WHCR-90.3FM salutes Sister Daa’iya El Sanusi a true Harlem legend.